Raymond “Ray” Francis Jones, age 73, of Dillsburg, and formerly of Mechanicsburg and Wisconsin, passed away on Tuesday, September 11, 2018. Ray was born on Thursday, May 3, 1945 in Marietta Township, WI to the late Paul Douglas Jones and Estella Lorraine (Smith) Jones. In addition to his parents, Ray is preceded in death by his brother, Dan Jones; and his nephew, Jimmy Jones. Ray’s survivors include his two children: Irene Jones of Carlisle, Raymond “Ray” Jones and his wife, Krystal, of Mechanicsburg; his three grandchildren: Douglas Ray Jones, Brittany Marie Jones, Michael Daniel Jones; his three brothers: Paul Jones and his wife, Karen, of Branson, MO, James “Jim” Jones of Gays Mills, WI, Timothy “Tim” Jones and his wife, Diana, of Wisconsin; his sister-in-law, Jo Jones of Fennimore, WI; his former wife, Joyce Evans of Boscobel, WI; and several nieces and nephews. 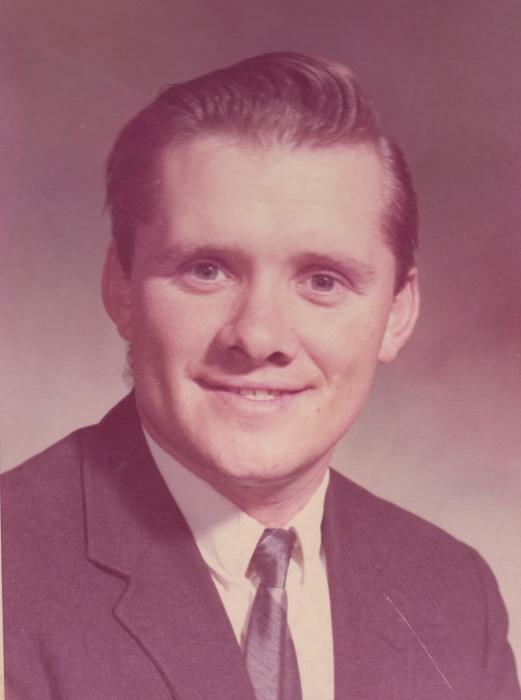 Ray graduated from Gays Mills High School as part of the class of 1964 and from Ozark Bible College in 1974. He proudly served in the United States Navy as an assistant chaplain. Ray retired from Suburban Roofing Company in Mechanicsburg, after many years of service working as a roofer. He was a member of Landmark Baptist Church in Mechanicsburg since 1985, where he served as the gym director from 1985 to 1988, drove the church van, and was a song leader. Ray would also volunteer his time at the Teen Haven Camp in Brogue, PA. He was man of faith and would carry out his ministry by handing out gospel tracts at Watkins Glen and the Farmer’s Market in Middletown. Ray loved to watch football and play volleyball at the Why at the Well in Mechanicsburg. Following his retirement, Ray enjoyed getting together with his buddies at the McDonald’s in Dillsburg almost every morning for breakfast. He was always there for anyone during their time of need and would even give the shirt off his back to help. All are welcome to join Ray’s family at his gathering of family and friends on Saturday, September 22, 2018, from 11:00 a.m. until time of service at 12:00 p.m. at Myers - Buhrig Funeral Home and Crematory, 37 East Main Street, Mechanicsburg, PA 17055; with Pastor Bob Kauffman officiating. Full military honors will be presented by the Cumberland County Honor Guard following the service. Honored to be urn bearers are: Jeff Gates and Pastor Bob Kauffman. Ray’s family invites everyone to join them for a time of food and fellowship at his church immediately following – please bring a covered dish or dessert to share. Cremation was private. The family respectfully asks that contributions be made in Ray’s memory to help defray his final expenses. Donations of any amount are welcome and greatly appreciated. To donate, simply click on the green “Appeal for Donations” button on Ray’s obituary which appears on Buhrig.com. Donations by check can be made payable to Myers - Buhrig Funeral Home and Crematory, 37 East Main Street, Mechanicsburg, PA 17055. Credit card donations by telephone can be made by dialing (717) 766-3421. Ray’s family thanks you and Myers - Buhrig Funeral Home and Crematory for the financial support at this difficult time. Ray’s family has entrusted his care to Myers – Buhrig Funeral Home and Crematory in Mechanicsburg, (717) 766-3421. Read Ray’s full obituary, view his memorial video and picture, and sign his official guest book at Buhrig.com.